Presentation about "eugenic sterilizations" in comparative perspective at the 2012 Social Science History Association: 1, 2. American eugenics refers inter alia to compulsory sterilization laws adopted by over 30 states that led to more than 60,000 sterilizations of disabled individuals. Many of these individuals were sterilized because of a disability: they were mentally disabled or ill, or belonged to socially disadvantaged groups living on the margins of society. American eugenic laws and practices implemented in the first decades of the twentieth century influenced the much larger National Socialist compulsory sterilization program, which between 1934 and 1945 led to approximately 350,000 compulsory sterilizations and was a stepping stone to the Holocaust. Even after the details of the Nazi sterilization program (as well as its role as a precursor to the "Euthanasia" murders) became more widely known after World War II (and which the New York Times had reported on extensively and in great detail even before its implementation in 1934), sterilizations in some American states did not stop. Some states continued to sterilize residents into the 1970s. While Germany has taken important steps to commemorate the horrors of its past, including compulsory sterilization (however belatedly), the United States arguably has not when it comes to eugenics. For some states, there still is a paucity of reliable studies that show how and where sterilizations occurred. Hospitals, asylums, and other places where sterilizations were performed have so far typically chosen not to document that aspect of their history. Moreover, until now there has never been a website providing an easily accessible overview of American eugenics for all American states. This site provides such an overview. For each state for which information is available (see below), there is a short account of the number of victims (based on a variety of data sources), the known period during which sterilizations occurred, the temporal pattern of sterilizations and rate of sterilization, the passage of law(s), groups indentified in the law, the prescribed process of the law, precipitating factors and processes that led up a state’s sterilization program, the groups targeted and victimized, other restrictions placed on those identified in the law or with disabilities in general, major proponents of state eugenic sterilization, “feeder institutions” and institutions where sterilizations were performed, and opposition to sterilization. A short bibliography is also provided. While this research project was initially intended to give short accounts for each state, it quickly moved beyond this goal. For those states for which detailed monograph-length studies are availabe, it merely summarizes existing scholarship, but for other states for which such information is not readily available, it establishes the core parameters within which a state's eugenic sterilizations were carried out. As part of this research the current state of the facilities where sterilizations occurred or that served as feeder institutions is addressed. This research brought into relief one particular piece of information that might not be known even to the specialists in the field. In Nazi Germany, during the peak years of sterilization between 1934 and 1939, approximately 75-80 sterilizations occurred per year per 100,000 residents. In Delaware, during the peak period of sterilizations (late 1920s to late 1930s), the rate was 18, about one fourth to one fifth of Germany's during its peak period, or half of Bavaria’s in 1936. While the difference in the sterilization rate for a totalitarian regime with a federal sterilization law soon to commit mass murder on a historically unprecedented scale and a democratically governed state in a democratic nation remains significant, it is much smaller than one might perhaps expect. Contributions to this project were made by sophomore honors students at the University of Vermont as part of an Honors College course on Disability as Deviance. These students wrote up the primary accounts, which were then edited and amended by Lutz Kaelber, Associate Professor of Sociology, University of Vermont, who is solely responsible for its contents and any errors or omissions. Research that went into this project was supported in parts by grants of the College of Arts and Science’s Dean’s Office and the Center for Teaching and Learning, and by funds of the University of Vermont's Honors College. 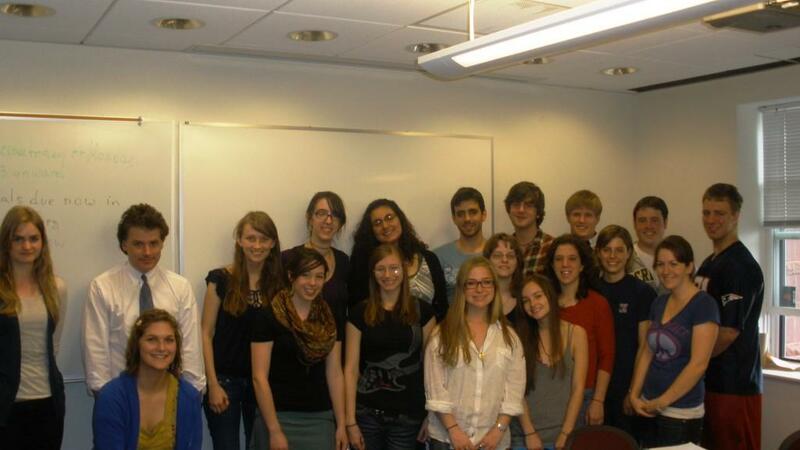 Update 2011: A new group of students in the Honors College at the University of Vermont, together with students in a senior-level sociology course, took on the project of revising and updating all existing states' webpages. This project was commenced in the fall of 2010 and concluded in the spring of 2011. The literature under consideration was expanded to include many undergraduate, master's, and doctoral theses at various institutions, as well as the most recent available scholarly literature and journalistic reports. Web-based information was also updated. Note: Not addressed here is the controversial topic of sterilizations of Native Americans in the 1970s, which by some accounts led to sterilization rates of more than 25% among wome of child-bearing age. A student in my Independent Study course, wrote a paper on this topic (here). Link to "Eugenics" and Nazi "Euthanasia" Crimes gateway page. Calculations based on available population figures. For Bavaria's number of sterilizations, see Max Spindler, Dieter Albrecht, and Alois Schmid, eds. 2003. Handbuch der bayerischen Geschichte. Munich: Beck, pp. 551-2. For additional comparison: The Canadian province of Alberta's rate was about 9 during its peak period of eugenic sterilizations between 1929 and 1939 (Grekul, Jana, Harvey Krahn, and Dave Odynak. 2004. "Sterilizing the 'Feeble-Minded': Eugenics in Alberta, 1929-1972." Journal of Historical Sociology 17, 4, p. 377). Apart from its link to genodical policy, the Nazi sterilization policy remain unique insofar as "only here was compulsion applied so consistently; nowhere else a bureaucracy existed that was as comprehensive and efficient in its racial hygiene; and only here eugenics was theoretically and practically integrated into a centralized and institutionalized racial policy" (Michael Schwartz. 2008. " Eugenik und 'Euthanasie': Die internationale Debatte und Praxis bis 1933/45." In T�dliche Medizin im Nationalsozialismus: Von der Rassenhygiene zum Massenmord, ed. Klaus-Dietmar Henke. Cologne: B�hlau, p. 90).